Before we start, I'd just like to clarify that this isn't another one of those wanky "cold calling is dead" articles people with no real business experience write. Cold calling works - that's a fact. That said, cold calls are getting colder and colder. The reason? Well for one, your market (whatever it is) is more saturated that it's ever been before, meaning your decision maker's phones are ringing more than they've ever rung. Frustratingly then, no matter how much you invest in training your salespeople, no matter how much your prospects need what you're selling, if they received a similar call 20 minutes ago from a competitor, your odds of even speaking to them are slim-to-none. And that's why you need to find a new way which doesn't rely on cold calls. Why should I? Cold calls still generate leads. The government recently introduced laws to stop the ridiculous number of nuisance calls being made. While I'd never compare your business to the kind of companies making those calls, as time goes on, your prospects will start to associate business cold calls more and more with “nuisance calls” from would-be injury lawyers and PPI solicitors - especially if they've never heard of you. Now that’s not your fault, your prospect will just get so fed up that they'll start to label cold calls a nuisance. Those new laws are, however, a symptom of a wider problem; as people are becoming more and more sensitive about data and, well, just about everything, cold calls are going to feel more and more invasive. 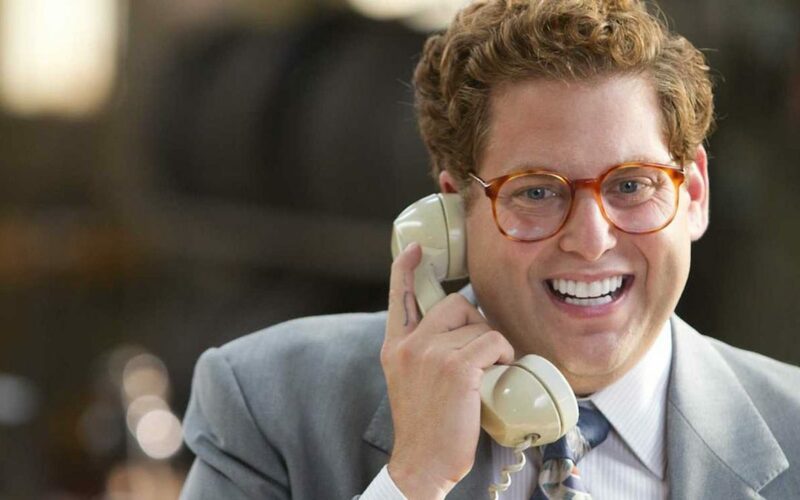 Cold calls have been a salesperson’s bread and butter since Alexander Graham Bell invented the phone, so we're not suggesting you simply hang up your phone now because of a growing trend, but resistance growing as markets become even more saturated and similar salespeople try to sell similar services to the same people. What's more, proof of the trend comes in the fact that results are dwindling and cold calling isn't delivering the same ROI it used to; according to HubSpot, cold calling now costs at least 60% more per lead than other methods. So surely, SURELY, there's another way. A better way. A way that can supplement your cold leads with warm ones. If there was, wouldn't you want to know about it? No matter whether you're selling someone a pen, a house or a yacht, nobody will do business with a person or company they can’t trust. And – cliché alert – trust can take a long time to build, but can be lost in an instant. Cold calls can actively build distrust; not all of them, of course, but by their very nature, they are pretty invasive. We’re not saying you should never pick up the phone. In fact, 41.2% of salespeople still say their phone is still the most effective sales tool at their disposal. But you need to know when to pick it up. So, when is the right time to call? The main point we’re trying to make is that there’s a much, much more effective way to call now than cold calling, which involves warming a prospect up before you pick up the phone. This is done using free content that specifically talks about the challenges of your prospects. To answer to the above question “When is the right time to call?”, the answer is when a buyer has been warmed up and has come into your pipeline as a marketing qualified lead. There’s a big difference between a sales qualified lead (SQL) and a marketing qualified lead (MQL). An MQL is a lead who likely isn’t ready to buy yet — but they will respond to being nurtured. MQLs tend to come in from - you guessed it - your marketing efforts, such as downloading content from your website. This makes your conversation much warmer, because you have a great starting point: “Hi I saw you downloaded our guide on [challenge your business solves], is that a key concern for you at the moment?” is a much easier way to start a call than “Hi, we’ve never spoken before”. But far too many salespeople rely solely on pure sales leads which haven’t come from marketing. This hits your conversion rates hard, because these leads are so much harder to nurture and engage with. To generate more leads that you can actually close, your sales team needs to be backed by a marketing strategy that drives warm leads into their pipeline every month. In just the same way that it’s harder to go up to a stranger at a bar without an introduction from a friend, it’s much easier to close a lead when there’s a starting point to the conversation. For further guidance on how to go about that (the warm calls bit, not the chat up lines), click here.